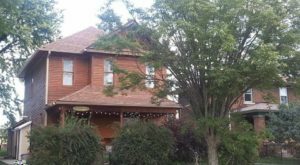 There’s a vintage ice cream shop in Newburgh, Indiana that lets you enjoy sweet treats on the river. 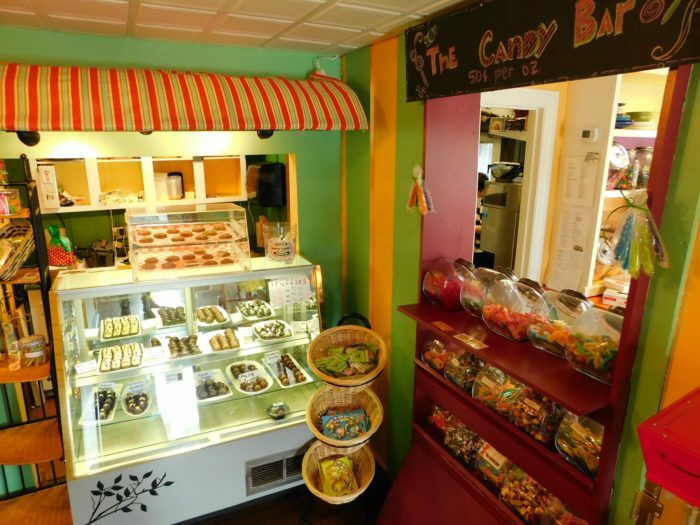 This adorable store is all about desserts and local Indiana businesses. 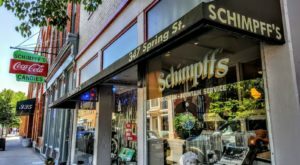 If you love boutique places that remind you of the good old days, you’ll definitely want to check out this ice cream joint. Scroll on for more details. 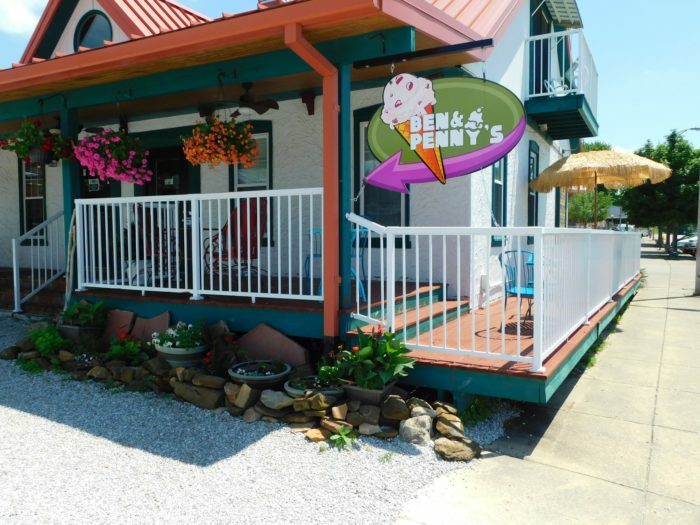 Ben and Penny's is an adorable little ice cream store located near the Ohio River in Southern Indiana. 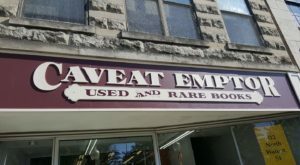 It is actually owned by a couple named Ben and Penny who also own Cafe Arazu around the corner. The charm begins from the moment you walk in the doors. 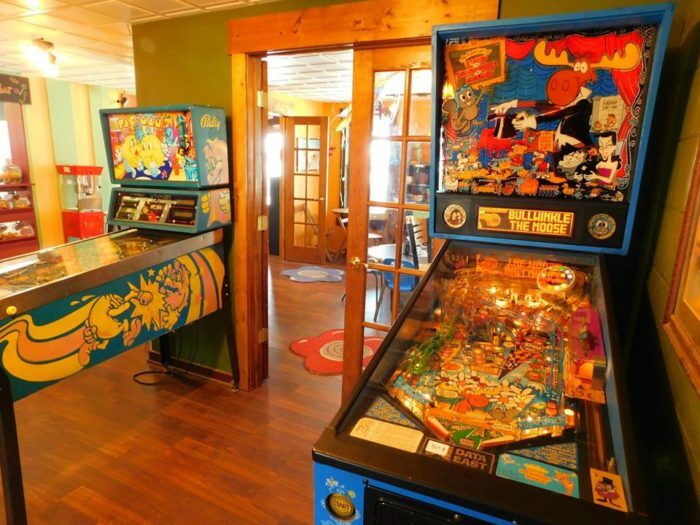 Vintage decor is all around this ice cream parlor, and guests can enjoy classic arcade games like pinball that will take you back to your childhood. This vintage ice cream shop sells a plethora of different treats. Guests also enjoy pastries, chocolates, coffee, European meat and cheeses, and even beer and wine. 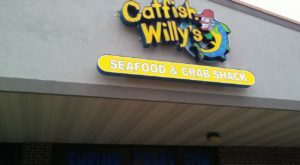 There are also deli sandwiches and other light meal options to enjoy. Chocolates are from DeBrands out of Fort Wayne. 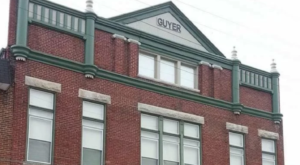 The store strives to source products that are made in Indiana. You'll find shakes, sundaes, and smoothies at Ben and Penny's as well as the option for extra special waffle cones dipped in chocolate and sprinkles. 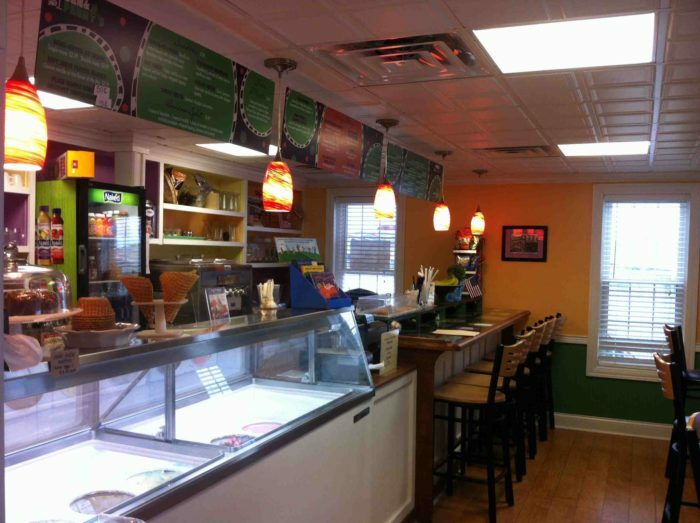 Try a hand-dipped ice cream or frozen yogurt. 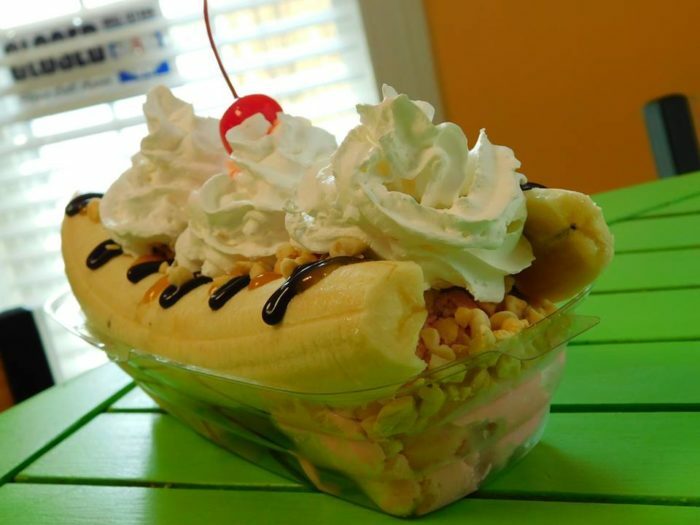 Specialties include banana splits, a chocolate turtle-themed sundae, dreamsicle floats, and ice cream tacos. You can even get something called an Arctic Blast that is ice cream blended with cookie or candy pieces. 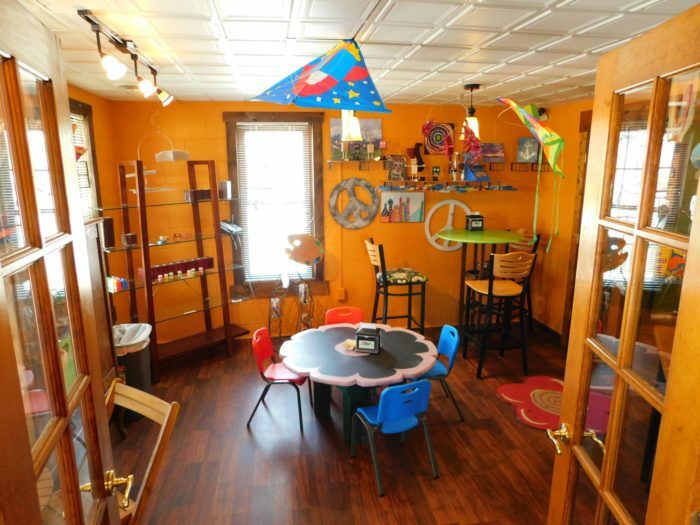 Stick around to enjoy your frozen dairy treats in this cute dining area that is filled with art. Featuring bright colors and interesting things to look at, this is a place you'll want to remember forever. 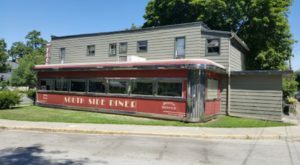 This vintage ice cream shop is open Tuesday through Friday from 3 p.m. to 9 p.m. and Saturday and Sunday from noon to 9 p.m. Stop by for all sorts of delicious eats. 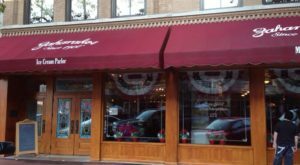 Ben and Penny’s is located at 20 W Water St., Newburgh, IN 47630, and you can get more information on its Facebook page. 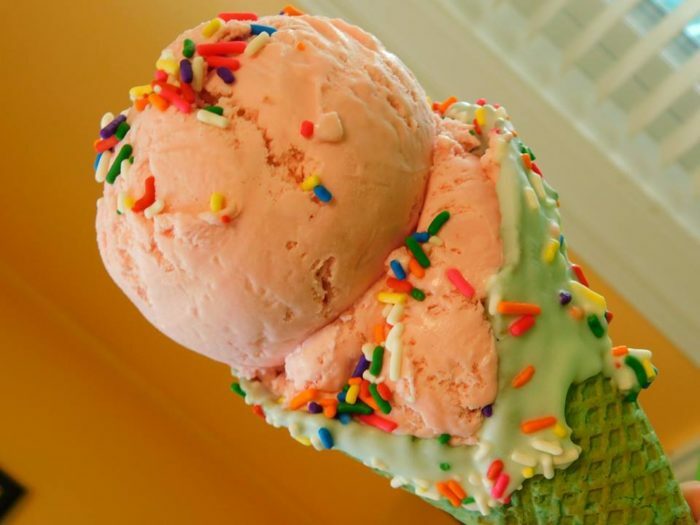 For more like this, check out these six amazing ice cream parlors in Indiana with the absolute best soft serve. 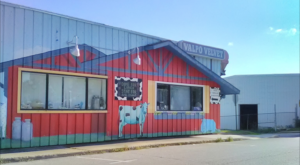 If you’ve ever been to this vintage ice cream shop, we’d love to hear from you. Please share your experiences and photos with us below in the comments.